S Bschubhai and Sons offers you the durable range of SS Bottle Stands. Products offered by us are made following international industry standards and are flawless in range. We implement latest technologies to manufacture these SS Bottle Stands and assure our clients for the high durability and rust free nature of our products. One can avail these SS Bottle Stands in standard sizes. Our product range includes, SS Bottle Stand and Coat Hook, SS Bottle Stand Lock Spindle, SS Bottle Stand Spindle Lock and SS Bottle Stand. Supported by state-of-the-art infrastructure we are able to manufacture a diversified range of SS Bottle Stand and Coat Hooks. 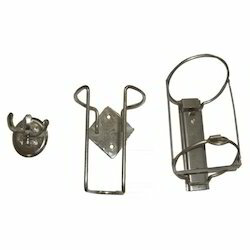 We utilize unmatched grade metals to manufacture these SS Bottle Stand and Coat Hooks and assure our clients for the high durability of our products. These stands are tough in quality and are resistant from rust and corrosion. 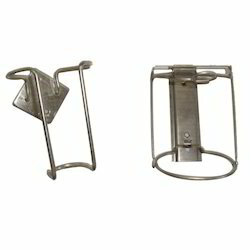 We offer these SS Bottle Stand and Coat Hooks at market leading rate. We offer our clients a wide range of SS Bottle Stands which are made by following the NDDB specifications and using 304 grade stainless-steel. We are extensively praised for the unmatched quality and précised engineering of our SS Bottle Stands. We offer various ranges of these SS Bottle Stands including sample bottle with stand, milk plunger, milk measures, milk collection tray and dairy detergent sampler, and funnel with filters. We are affianced in dealing with a wide range of SS Bottle Stand Lock Spindles. Fabricated from premium quality of metals, these SS Bottle Stand Lock Spindles are resistant from rust and assures superb performance. Products offered by us are highly demanded for their unmatched quality and high efficiency. Owing to the accessibility in various dimensions and specifications these are easily available in market. 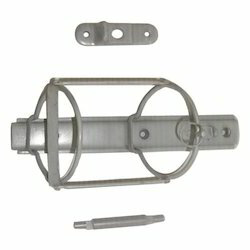 We are involved in manufacturing and supplying a wide range of SS Bottle Stand Spindle Lock. We utilize premium quality materials to fabricate these products and offer highly robust products to our valued clients. 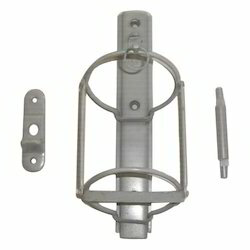 Customers can avail these SS Bottle Stand Spindle Locks in various standard sizes as per their choices. Apart from this, we offer these products at market leading rate. Looking for Stainless Steel Bottle Stand ?